If you are planning to buy your first home for quite a few months now, then this is the best time to do so. Due to the low mortgage rates as well as various other tax incentives, mortgage applications have surged in the recent times. Purchasing a home, whether first or not, can be both exciting as well as a daunting task. However, if you plan and prepare for the home buying process in advance, then you won’t have to face any complicated or stressful situation. 1. 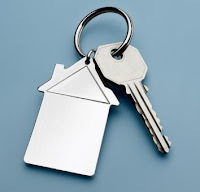 Save money for down payment: Saving money for down payment is very important. Unless you have a lump sum amount saved in your bank account for down payment, you may not qualify for a mortgage. You should have 20% down payment for a conventional loan. However, for FHA loans, you need to have a down payment of 3.5% - 5%. So, it is always advised that you start saving money as soon as you plan to buy a home. 2. Don’t get pressurized: Buying a home, whether first or not, is a huge financial decision. So, don’t get pressurized. Take your time and decide on home buying. You can consult your spouse, family members as well as friends in this regard. Just because the home prices or interest rates are low, don’t jump into buying a home. 3. Determine your home affordability: You should always go for a home which you will be able to afford in the long run. Taking out a huge mortgage for a property which you won’t be able to afford later on will be a foolish act on your part. You can check out the various online mortgage calculators in order to know your home affordability. 4. Improve your credit: Your credit is the most important thing which the lenders will look into while approving you for a first time mortgage. So, take necessary steps to improve your credit if you don’t have the right scores to qualify for a loan. It should be noted here that to qualify for conventional mortgages, you need to have a score of 700-720 whereas FHA lenders may require a score of around 620-640. 5. Get pre-approved for a home loan: Before you start shopping around for your first home, you should get pre-approved for a mortgage. This will make it easier for you to find and purchase your dream home. Also, a pre-approval will mean that you’re seriously interested in buying a home. A pre-approval for mortgage is considered as a positive sign by the sellers. Apart from the tips mentioned above, it should be noted here that renting a home for time being is not a bad option and has its own advantages. So, if you’re not sure whether or not you should buy a home now, you can rent a property. You should buy a home only when you’re ready for it, both psychologically as well as monetarily.